Do tube microphone pre-amps sound better? You can get a much warmer sound when using a tube microphone Pre-Amp. 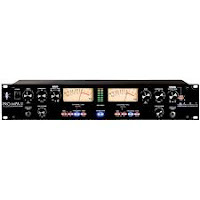 The one I recommend is the Art ProMPA 2 Channel Tube Pre-Amp. It is very affordable and has extremely low noise in the signal. You can use it on vocals or guitar. It is rack mountable and takes up 2 spaces in a rack unit. I have had mine now for a while and I have had no problems with it. You can get them for under $300 at Guitar Center. Check out the exclusive deals here. Online Only Price Drops at GuitarCenter.com!